What are direct vs. indirect expenses for a home office? When deducting expenses for a home office, it’s important to differentiate between “direct” and “indirect” expenses. Direct expenses are those made specifically to the home office used for business, and not made to the rest of the home. The installation of a ceiling fan in a home office or built-in cabinet in a home office, are both examples of direct expenses incurred for the home office. These are 100% deductible expenses. Indirect expenses are those made to the whole home, and not only specific to the home office. Re-carpeting a whole home or housekeeping for the whole home, are both examples of indirect expenses. These are deductible based on the percentage of home office square footage versus whole home square footage. So if you have a 150 square foot home office in a 1,000 square foot home, and you spend $200 to have your whole home cleaned, $30 would be deductible (home office is 15% of home = 15% times $200 whole home expense). 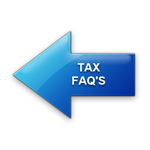 Therefore, be sure to provide your tax preparer with expenses clearly defined as either direct or indirect. So in the above example, you’d provide your tax preparer with $200 in cleaning expenses as an indirect expense. This way the expense is allocated properly. Feel free to contact us with questions...we’re happy to help! !